The United States Mint has started accepting orders for a new product which provides a prospective coin collector with some of the information and supplies needed to start collecting. The new product is entitled “Coin Discovery Set – An Introduction to Coin Collecting”. Each set includes three 2014 Kennedy Half Dollars which showcase three different types of finishes used by the United States Mint. A coin struck at the San Francisco Mint features a proof quality finish, a coin struck at the Philadelphia Mint features an uncirculated quality finish, and a coin struck at the Denver Mint features a circulating quality finish. 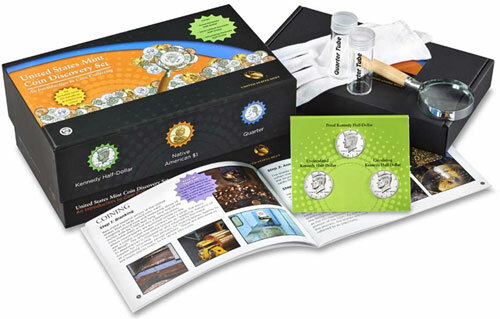 An educational coin collecting booklet is included in the set which explains the three different finishes as well as the overall coin production process. Coin collecting supplies included within the set are coin tubes for collecting quarters, a magnifying glass, and cotton gloves. The box which houses the set can also be used to store the annual proof sets currently offered by the US Mint. 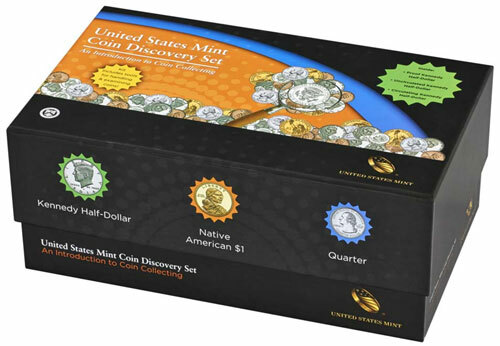 The Coin Discovery Set is new for this year and went on sale December 16, 2014. The set is priced at $24.95 and has a product limit of 45,000 assigned. For additional information or to place an order, please visit the US Mint’s website. Is there any information on wether the us mint is gonna put for sale the limited edition proof set for this year or not?